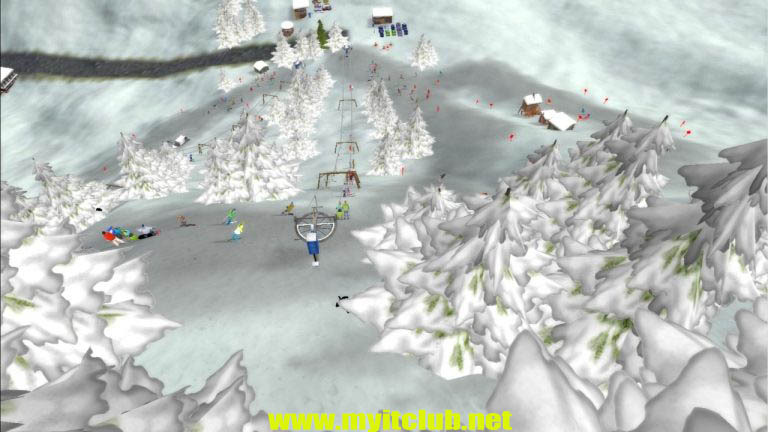 Designed as a classic tycoon game, Ski Park Tycoon is a ski resort simulation PC game that will keep you entertained for quite some time. I am a skiing enthusiast myself and every time I went on my winter holiday I wondered what it would be like to design and run a ski resort of and on my own. That inspired me to develop a computer game that would allow me to do just that. About three years ago I actually set to work. For a long time all I had was a prototype, but finally the game started to take shape to a point where I decided to finish and release it. At that time I also enlisted the help of a graphic artist. The countless hours of work paid off and the game is finally complete. I hear that it is impossible for a game developer to make a game that he or she would still enjoy playing - having spent so many hours creating and play-testing it, the game inevitably becomes annoying (or so they say). I can only speak for myself but I must confess that I still sometimes lose myself in the game and instead of working on it, I have fun playing it. And I hope so will you.The core gameplay mechanics of Ski Park Tycoon lie in ski lift and slope construction. Before building a park, the player needs to study the mountain topography and terrain. Therefore, it was imperative to allow the player complete freedom of camera movement. Building lifts and slopes is as easy as drawing lines on the ground. 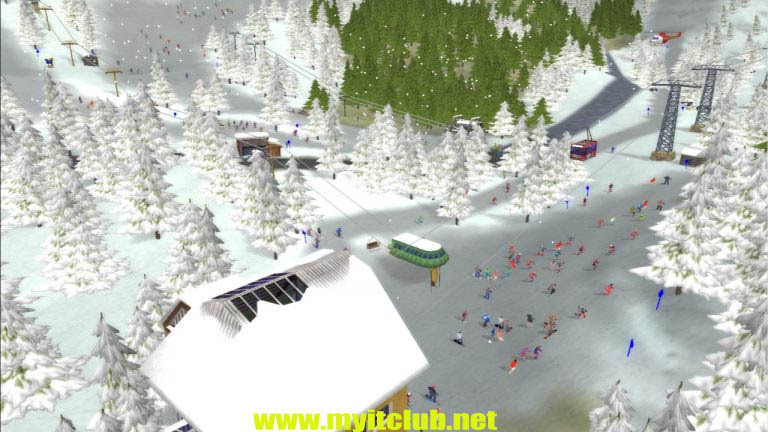 Skiers coming to the resort want to enjoy their stay so - apart from lifts and slopes - the player also needs to provide other infrastructure such as restaurants, ski patrols, snow cannons etc. This is where the economic simulation aspect of the game comes into play. You can learn more about the game in the online tutorial.